MATCHING UP THE TOWING capacity of a tow vehicle with theweight of a rig is easy enough, once you know your terminology. Print or bookmark this feature — it might save you a bit of confusion. Amongthe many different ratings, there are two that are most important whenshopping for a new tow vehicle or rig: the rated towing capacity of the towvehicle, and the ATM – or Aggregate Trailer Mass – for what you’re towing. If the ATM is the same or less than the towing capacity for the vehicle, you are on track. The ATM can often be found in a brochure or spec sheet, butthe most reliable guide is the compliance plate, where theofficial ATM is quoted. Vehicle manufacturers commonly quote more than one figurefor towing capacity, but it need not be confusing. Just lookfor the one figure that applies to you particular situation, and then match itup with the ATM. Where a manufacturer quotes figures for braked and unbrakedtrailers, the unbraked figure is much lower. Unless you are planning to tow something very light that isnot fitted with brakes, it usually won’t be the figure you need. Some vehicles offer various towing packs with differentcapacities – a car could offer a choice of 1200, 1600 or 2400kg. Choose the one that suits your needs, and that is the figure you will needto match up with the ATM. As for the various other ratings and capacities for safetowing, here are some explanations for the main terms found oncompliance plates and spec sheets. 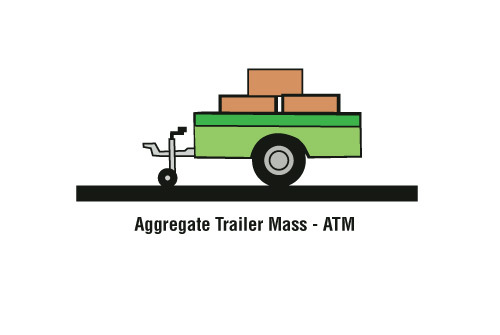 ATM (Aggregate Trailer Mass): The mass of the laden caravanwhen carrying the maximum load recommended by the manufacturer – including water,luggage, the lot. 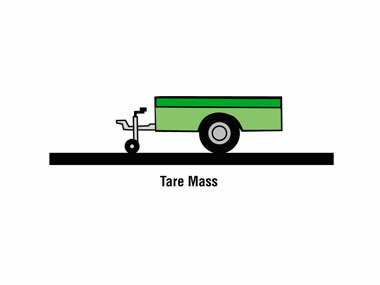 This includes both the mass resting on the wheels of thevan, and the mass resting on the towbar of the tow vehicle. This figure mustnot exceed the rated towing capacity of the tow vehicle. 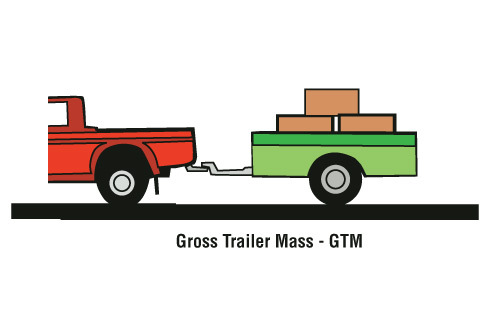 GTM (Gross Trailer Mass): Almost the same as the ATM, butalways a lower figure. This is what rests on the rig's tyres, but does notinclude what rests on the towbar when coupled to a tow vehicle. Like the ATM,it includes the maximum carrying load recommended by the manufacturer. This figure mustnot exceed the rating for the axle group (wheels, tyres, suspension and axle) specifiedby the chassis manufacturer. Tare: Effectively the "empty" weight, this is the mass ofthe van with all OEM equipment fitted, but with no luggage orpersonal effects on board, and with empty water tanks. This is what a van weighswhen it leaves the production line. Like the ATM, but unlike the GTM, itcombines the mass that rests on the tyres and the mass that rests on thetowball. 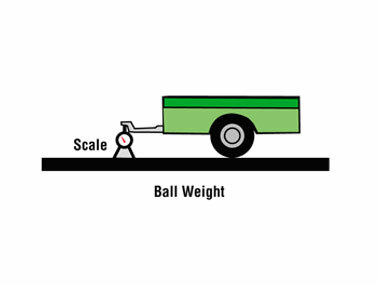 Ball weight: The ball weight (or ball load) is the load (orforce) exerted on the towbar of the tow vehicle. The ball load should always beeight to 15 per cent of the ATM. Vehicle specifications include a ball loadfigure, although it is not generally as easy to find as the rated towingcapacity. A van should always be loaded with any heavy items near theaxle, and not at the extreme ends where they will alter the ball load. Load-carrying capacity: The total permitted load that may belegally carried in the van – your water, luggage, food and the like.Subtract the Tare from the ATM and you have the load-carrying capacity. Anyoptions or accessories not included in the Tare will obviously reduce theload-carrying capacity available for luggage and personal effects.